Peter Lambert made his Olympic debut at the Rio 2016 Games, having previously stroked the men’s quadruple scull to first-ever medals at the World Rowing Championships. Peter Lambert moved to Britain from South Africa in 2012. He quickly established himself as a key figure in the GB sculling squad and will be looking to build on the experience he has gained during the past four years as the Tokyo 2020 Olympiad begins. At the first World Cup of the 2017 season he competed in the single sculls, finishing fourth in the B final at Belgrade, before moving to stroke the quadruple scull through the rest of the season, winning gold and silver in the subsequent World Cup regattas. 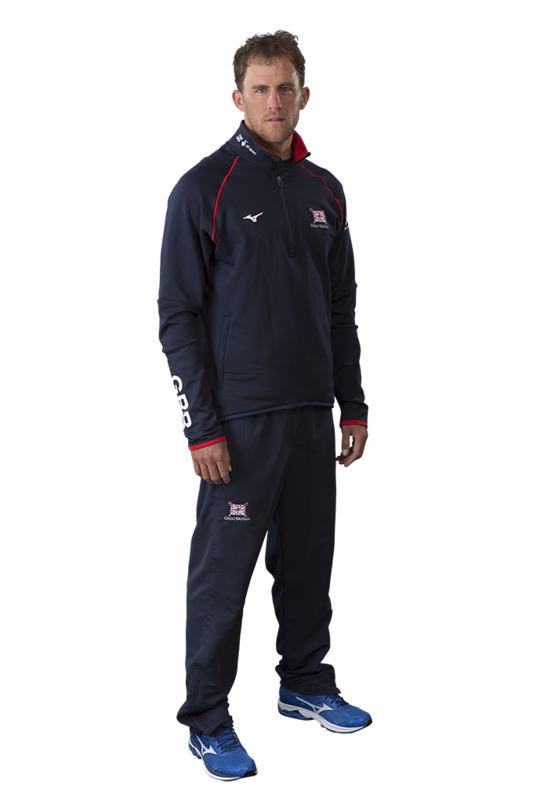 Lambert was selected in the quad for the World Rowing Championships in Sarasota-Bradenton, guiding the crew of John Collins, Jonny Walton and Jack Beaumont to the final. But Lambert suffered a back injury just minutes before the start of the race, with his quick thinking ensuring that the crew could return to the pontoon to substitute in Graeme Thomas. With no preparation, Thomas steered the boat to an incredible silver medal behind Lithuania. Lambert was once again selected in the men’s quad scull for the 2016 season alongside Angus Groom, Sam Townsend and Graeme Thomas. They finished fifth at the European Championships in Brandenburg and then qualified for the final at the Lucerne World Cup. Unfortunately he had to withdraw through illness on the morning of the race but, with Jack Beaumont subbing in, the quad still won a superb silver medal. Lambert returned for the Poznan World Cup where the quad again had to settle for fifth place. A difficult build-up to the Rio 2016 Olympic Games saw Thomas have to withdraw through illness just four days before the regatta began. Beaumont again came into the boat and the new-look crew finished fourth in their opening heat. They were continually improving, though, and were strong runners-up in their repechage before finishing a fine fifth overall with a battling effort in the final. Lambert helped to qualify the men’s quad for Rio 2016 with a fourth-place finish at the 2015 World Championships in Aiguebelette. It was a good result following a season where injury and illness led to a number of changes to a boat that had been settled for the previous two years. Charles Cousins was injured just before the European Championships in Poznan but Beaumont stepped in to help Lambert, Thomas and Townsend win a fine bronze medal and set a new championship record along the way. Groom replaced Beaumont in the quad that won an impressive gold at the World Cup in Varese but illness meant the crew did not race in Lucerne. 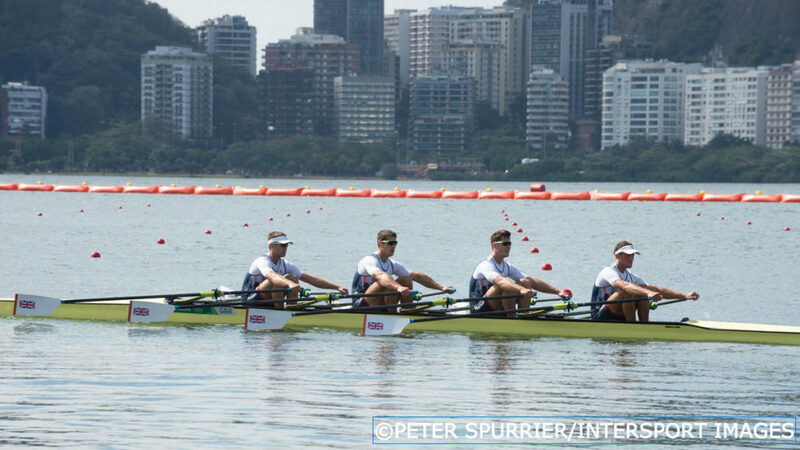 Cousins returned for the World Rowing Championships and helped the quad produce a storming second half to their final but they couldn’t quite catch the leading trio. Lambert successfully trialled for the GB Rowing Team in 2013 and made his debut in the men’s double scull with John Collins, finishing fourth at the Sydney World Cup. 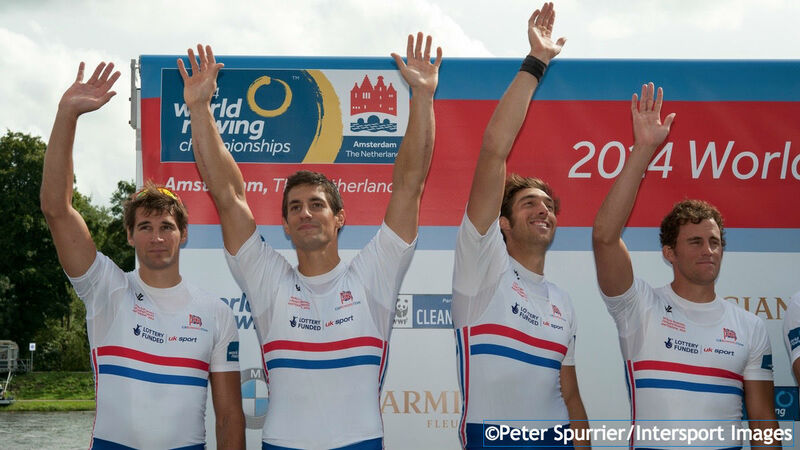 The now familiar line-up of Thomas, Townsend, Cousins and Lambert then raced together for the first time at Eton Dorney, finishing fifth, and, with Walton subbing for the injured Thomas in Lucerne, they improved to fourth before winning bronze at the 2013 World Rowing Championships in Chungju – the first-ever world medal for a GB men’s quad. The crew continued to make great strides during 2014, winning silver at the European Championships in Belgrade before adding world cup gold in both Aiguebelette and Lucerne. Mature and confident performances saw them win their heat and semi-final at the World Rowing Championships in Amsterdam to set up a showdown with Ukraine, who had beaten GB to the European title. The final was closely fought but Ukraine were just able to hold off a dramatic late surge from the Brits, who missed out on gold by just nine-hundredths of a second. After winning the 2012 Diamond Challenge Sculls at Henley Royal Regatta, beating future quad team-mate Graeme Thomas in the final, Lambert took the opportunity to use his British passport to live in Great Britain and try to make the GB Rowing Team’s sculling squad. He had learned to row at his high school, Jeppe Boys in Johannesburg, and represented South Africa at junior, under-23 and senior level. Upon moving to Britain, he joined Leander Club and raced for them at the Diamond Jubilee Rowing Championships, winning the open double and quad, as well as the Fullers Fours Head, winning elite quads. During his rowing career to date, Lambert says he has rowed alongside dolphins, elephants, hippos, crocodiles, snakes, antelope and even a dead body. Nelson Mandela would be Peter’s ultimate dinner guest, along with his grandfather who fought in WW2 and survival expert Bear Grylls, so he could find out how much of his show is actually real. Having studied marketing and communications, Lambert’s career ambitions lie in advertising although he is also currently studying website design. He relaxes by working on things around the house, cooking – his pet hate is poor hygiene around kitchens – and watching Friends or ‘alpha’ films like Warrior, Gladiator and Fearless.